New wave/powerpop quintet from Galway. 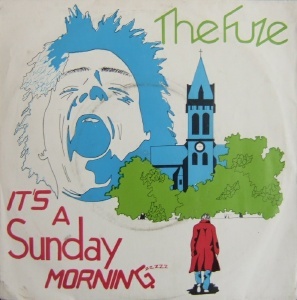 Drummer Mike Arrigan had been in an earlier band with Rob Coen of Scum Of The Earth, whose last gig in 1980 was The Fuze's first ever live performance. 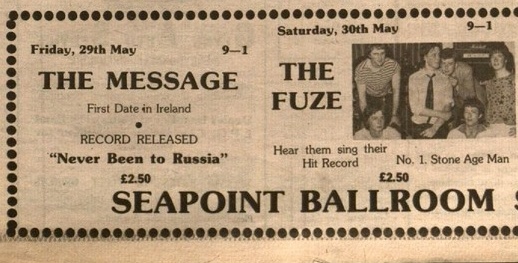 The Fuze won the Tramore Band Competition in 1980. 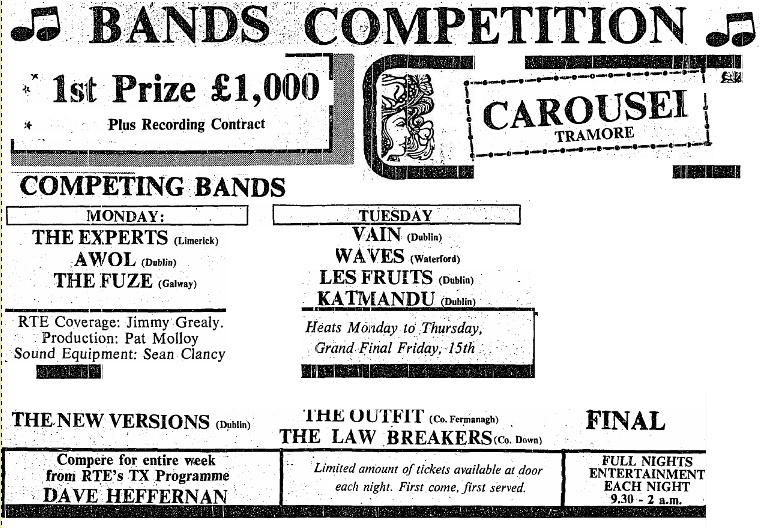 The prize was £1000 cash and a single to be released on Mulligan Records in conjunction with the organisers of the competition who called themselves Tramore. 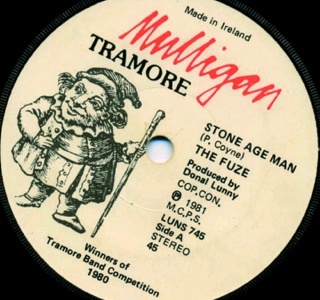 This is the reason for the Tramore logo on the label of the band's debut single on Mulligan "Stone Age Man". 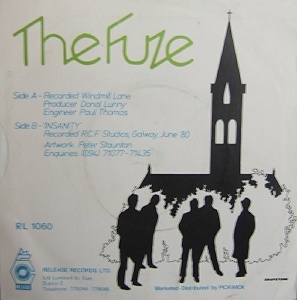 An LP featuring all finalists of the competition was also considered but Mulligan and Tramore fell out almost immediately and these plans were scrapped. 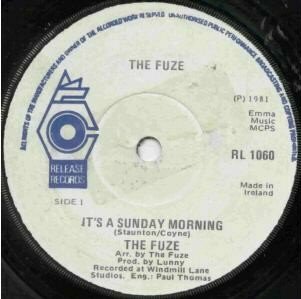 Mulligan were so impressed with The Fuze they signed them to a three single deal and the band began recording suitable tracks for future singles at Windmill Lane. Mulligan Records' finances became overextended promoting the Boomtown Rats in the UK and they were unable to meet their commitments. They were subsequently taken over, leaving The Fuze and bands like them with unpaid bills. 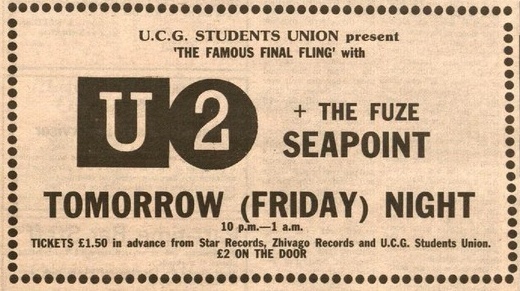 This is how the band came to pay for it's own debut single even though it was supposedly released on Mulligan. 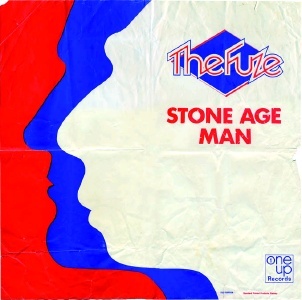 They formed their own One Up label to promote it and also designed a picture sleeve which bore the One Up logo. 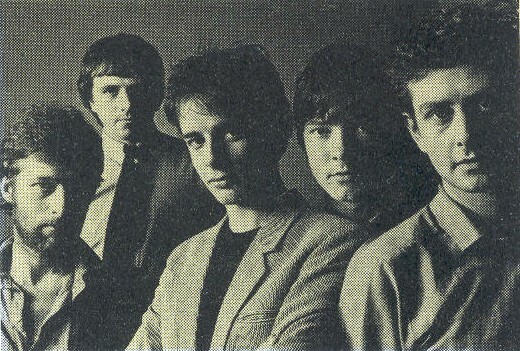 One Up also paid the bands outstanding bills, including the recording costs of the second single, which eventually came out on Release Records and charted in Ireland in July 1981. 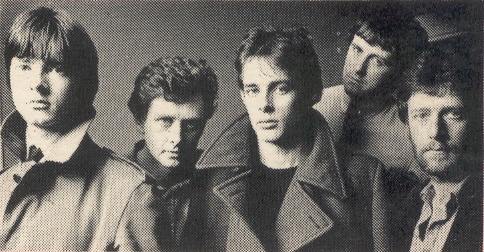 Despite these two very strong singles and a solid live reputation across the West, the type of label support necessary to record and release an LP in Ireland at that time was not forthcoming and the band split late 1981 or early 1982. They reformed again briefly a year or so later. 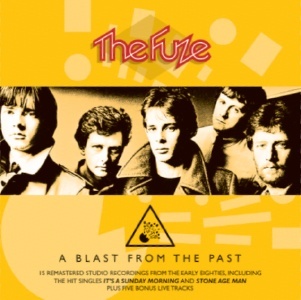 A selection of the band's many studio and live recordings has been assembled into a 20 track retrospective CD called A Blast From The Past which will be available soon from the band's own www.fuzesounds.com site. 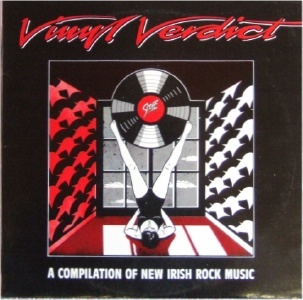 Some copies issued in a PS which used the same design as the poster pictured below. These bear the bands own One Up Records logo. 15 remastered studio recordings from the early '80's plus 5 live tracks.